The hall of St. Andrew’s United Church was overtaken by the smell of cumin and tumeric. A long table laden with every Pakistani dish imaginable stretched across the room. Students, friends and family filled their plates and sought out the special guests, the Chaudhry family, who floated around the room making sure everyone had enough to eat. It was a night for a celebration. On Sept. 30 the Chaudhry family, who have faced deportation for the past eight years, finally celebrated their eligibility for Canadian citizenship with a Pakistani dinner for their supporters. Among those present were members of No One Is Illegal (NOII) and Dalhousie’s Nova Scotia Public Research Interest Group (NSPIRG). Roouf and Fakhira Chaudhry came to Canada via the United States in 2003 after fleeing Pakistan. When Fakhira married outside of an arranged marriage, members of her family and her ex-fiancé repeatedly threatened them with violence. In Canada, their refugee and humanitarian & compassionate claims applications were originally denied. A Federal Court of Canada judge overruled the decisions last January, taking into account the interests of their three children. The family was told on Sept. 13 that their application was finally approved. About 40 people, including friends, university students, faculty, and interested Halifax residents, came to congratulate the Chaudhrys on their success. Dishes such as curry, biryani, and samosas, all made by Roouf and Fakhira, were laid out as the family discussed their current situation with supporters. “My children are happy, I am very happy, and I’m looking forward to the future for my children,” says Roouf. He and his wife have already established themselves in Canada by starting a catering company, and have the support of the local Muslim community. The next step for the Chaudhry’s will be to apply for permanent residence status. Because they feared repercussions in Pakistan in the event of deportation, the family has avoided discussing their situation with the media. Now, they are able to speak about their feelings during the immigration process. While their oldest daughter, 11, understood their precarious situation, Roouf says he always had faith that things would work out for the better. Nevertheless, they say that the support they received played a crucial part in their successful application. NSPIRG has been helping the Chaudhrys since late 2008 by raising awareness, creating petitions, and writing letters. Sabastien Labelle, a member, says he was both happy and relieved upon hearing that the application went through. Also involved was NOII Halifax, which helped raise awareness by setting up public events, dinners and brunches. Roouf says he and his family are eager to give back to the community. “This is my children’s country, and this is my country,” he says. The Chaudhrys plan to open a restaurant that will provide employment and Halal food to the area, a goal they have envisioned for years. While a friend of the family previously offered financial assistance, they saw no point in opening a restaurant without being sure of their immigration status. 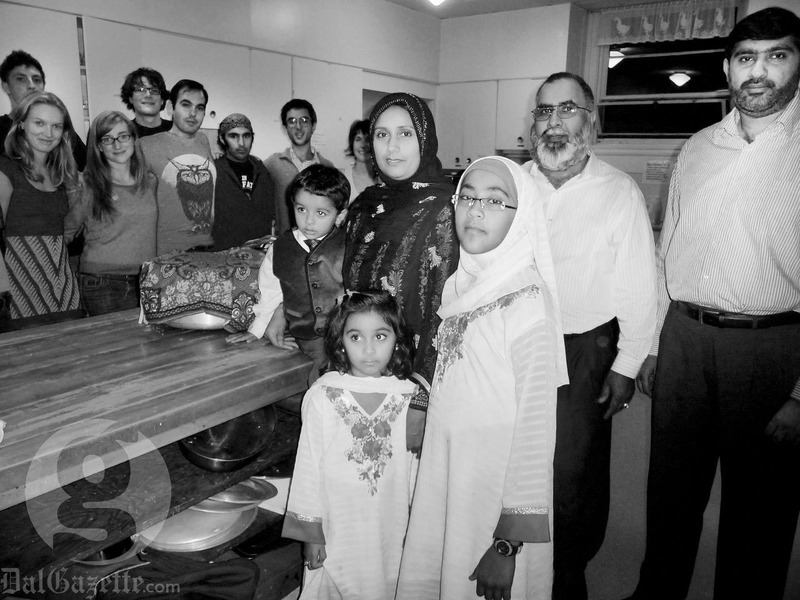 Now, with a newfound sense of stability, the Chaudhry family is ready to move forward.